America isn’t the only country looking to control vaping — South African government officials are also working on ways to alter the vaping industry. 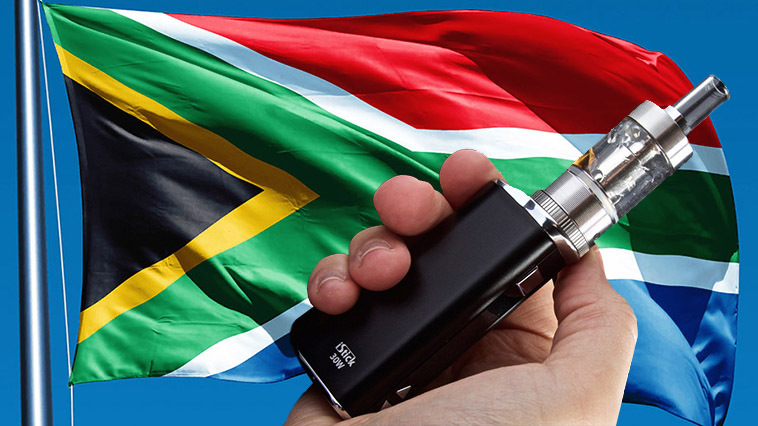 If a proposed multi-part South African vaping bill passes, major changes would occur in the smoking and vaping community in the country of more than 55.6 million residents. Tobacco brands would need to be hidden from customers’ view and in plain packages. Indoor smoking would be prohibited. Cigarette smoking would be completely banned. Designated vaping areas would be created. A ban within 10 meters of a public building, in part, to protect individuals from second-hand smoke. In November 2017, South Africa’s National Council Against Smoking lobbied to expand the Tobacco Act and include e-cigarettes. Meanwhile, local vaping activists are speaking out against the proposed extension. The Vapour Products Association of South Africa (VPA) staged rallies against the expdanded South African vaping bill. The VPA cited reports such as Public Health England (PHE) recently revising its 2015 vaping report, indicating e-cigarettes are more than 95 percent less hazardous than smoking tobacco. Kalideen credited vaping for serving as a bridge from cigarette smoking to quitting all forms of smoking.